Scroll down for a free printable Map Of Massachusetts. 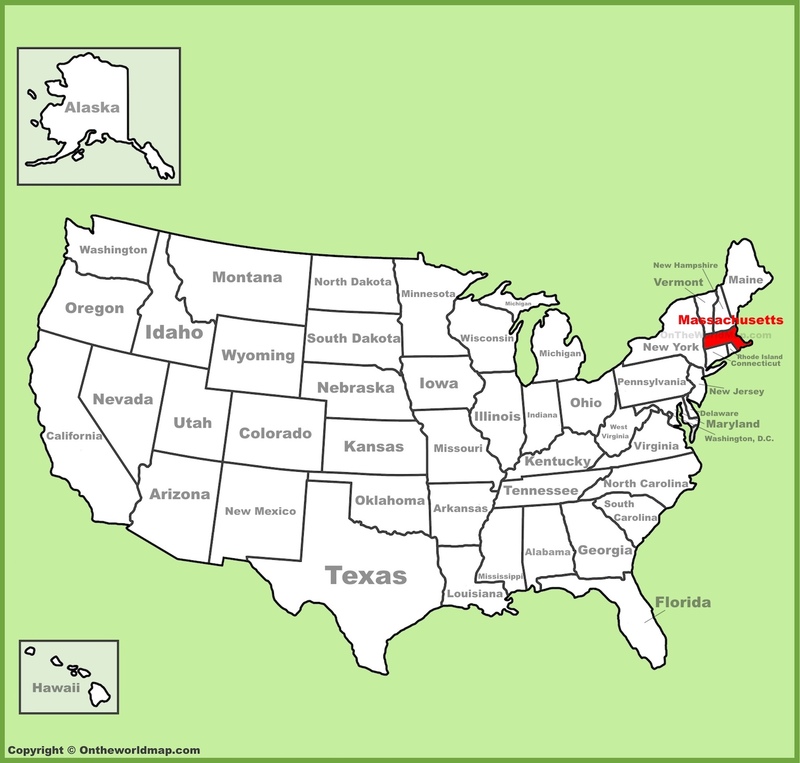 The above US map shows the location of the state of Massachusetts in relation to other US states. On February 6th of 1788, Massachusetts became the 6th of 50 states admitted to the Union, and was one of the initial 13 colonies that became states. 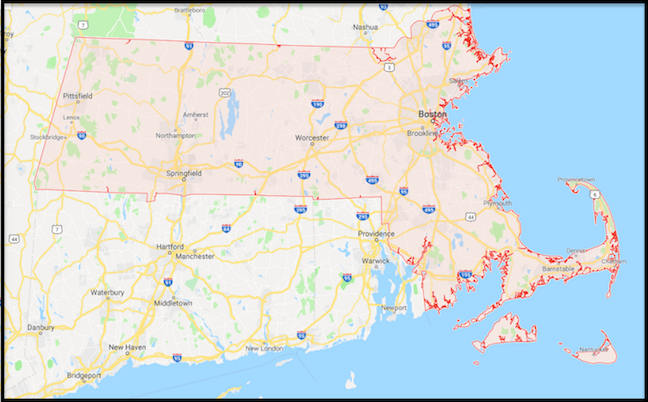 Scroll down for fascinating facts about the state of Massachusetts, a google map of Massachusetts, and related links to other free printable items. In 1716, the first light house in America was built in Boston Harbor. Boston was home to the first American chocolate factory. America's first subway, the Tremont line, was built in Boston back in 1897. There is a house in Rockport, Massachusetts that is made entirely out of newspaper. Even the furniture inside is made of newspaper. Massachusetts has the lowest divorce rate of any state in America. Basketball and Volleyball were both invented in Massachusetts. Basketball was first played in Springfield, Massachusetts in 1891, and Volleyball in 1895. Webster, Massachusetts is home to the lake with the longest name in the world - Lake Chargoggagoggmanchauggagoggchaubunagungamaugg. Locals just call it Webster Lake. The first Dunkin Donuts opened in Quincy, Massachusetts in 1950. Massachusetts was the first state to legalize gay marriage. Boston Common is the oldest public park in America. Above: A printable Map Of Massachusetts, showing larger cities, major roadways, and adjoining states. Click here to see a Free Printable WORLD MAP. Click Here for Amtrak Train Stations in All 50 States. Click Here for Greyhound Stations in All 50 States. Click Here for Car Insurance Stats in All 50 States and Washington DC.